Best Kitchen Appliances For Bake Off Fans - Which? The Great British Bake Off is back. Sprinkle some flour and dust your rolling pin as we round up the best kitchen gadgets to raise your baking game. If you've been bitten by the Bake Off bug and inspired to get baking, only to find your kitchen is woefully under-equipped, we're here to help. We've rounded up the baking gadgets and kitchen appliances that are on the top of any baker's dream list, making baking effortless and helping you to avoid those dreaded soggy bottoms. Let our round-up of the most sought after kitchen gadgets inspire you, then use our independent expert reviews of everything from ovens and range cookers to stand mixers, food processors and blenders to find the best models around. 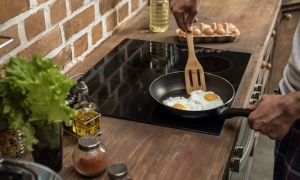 The new Bake Off presenters may be untested, but our in-depth lab tests have found Best Buy appliances for all budgets, and we compare prices daily, so our reviews will help you buy the best product at the best possible price. Only logged-in Which? 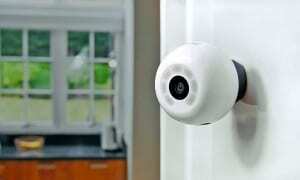 members can get our verdict on these popular gadgets to see if they are really worth the cash. Not yet a member? Join Which? to get instant access to all our reviews. A stand mixer is the ultimate kitchen gadget for any dedicated baker, and a KitchenAid is usually top of the wish list. 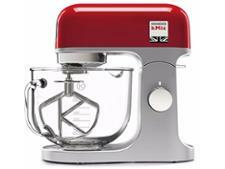 There's no denying it's beautiful to look at, but is it the best mixer money can buy? We've put all the current KitchenAid models through our tough tests to see how well they mix, whisk and whip compared to the competition. See how the newer KSM125 compares to the cheaper retro KSM150 version - and whether the KitchenAid Mini is worth a look - in our KitchenAid mixer reviews. Smeg is a desirable range cooker brand, and its retro looks don't come cheap either, but that doesn't mean all its cookers will turn out perfectly baked cakes. For classic style and multiple cooking options, this Blenheim dual-fuel range cooker seems to tick all the right boxes. But how did it do in our rigorous range cooker tests against all the others? Read our range cooker reviews to find out which models are your best bet for turning out perfect bakes. If your kitchen isn't quite big enough for a full range cooker, a mini range cooker is a space-saving alternative with the sought-after looks of a full-sized range. This Leisure cooker has the traditional details to make your kitchen lust-worthy, but it can squeeze into a smaller spot - and won't set you back as much. Head to our freestanding cooker reviews to see if this compact cooker can turn out perfect culinary creations. If you want to make bread at home, but don't have the time (or patience) to wait around for it to prove, or just don't fancy the hard graft of kneading, we've got a handy cheat for you. A good bread maker can take all the hard work out of a homemade loaf, but still give the satisfaction of making your own (just don't tell Paul Hollywood). This Morphy Richards bread maker excels at wholemeal loaves, but is that the extent of its baking talents? 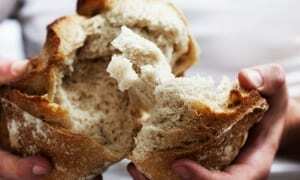 Find out in our bread maker reviews. The Magimix Patissier is a food processor designed with bakers in mind. It comes with three different-sized bowls, including a large-capacity stainless steel 'baking bowl' for mixing, whisking and whipping. It also includes a large range of attachments from the usual grating and slicing blades to extras such as a citrus press, juicer and french-fry slicer. It does a lot, but does it do it well? Find out if this food processor is a jack of all trades and a master of none in our food processor reviews. 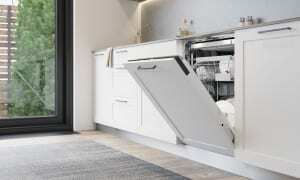 Neff ovens are a regular fixture in the Bake Off tent, and their signature 'Slide&Hide' door, which slides under the oven cavity, has piqued the interest of many a viewer. This single oven is one of Neff's more premium offerings - in addition to the slideaway door, it has a steam cooking function and catalytic liners for easier maintenance. Will it bake perfect cakes and even batches of biscuits? See how it compares in our built-in oven reviews. 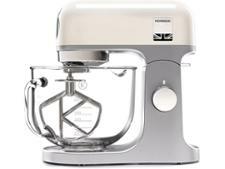 The Kenwood kMix stand mixer has graced the Bake Off tent several times in previous series, competing with KitchenAid for pole position on the bench. It has similarly stylish looks, and is available in a range of colours. This new-for-2017 version has a glass mixing bowl, making it easy to keep track of your mixing. It didn't make it onto the big screen this year, but was that the right call? 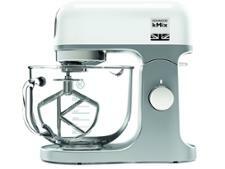 Find out how it fared against the competition - including the cheaper, older version - in our stand mixer reviews. If you're looking to improve your baking then there's no use buying shoddy appliances that will hold you back, or even worse, sabotage your efforts. We've found ovens that are more than 50 degrees over the temperature you set on the dial, meaning your bakes could turn out burnt or underdone - or a disappointing combination of both. And while KitchenAid mixers may be favoured in the Bake Off tent, there are cheaper and better options worth considering. Our independent tests identify the best food mixers, food processors and ovens that will help you create airy bakes and perfectly crusty loaves. We also flag the less than stellar appliances that will sap the fun out of baking and leave a bad taste in your mouth. Not sure where to start? Our in-depth guides will help you choose the right appliance for the right price. Our guide to choosing which food prep gadget you need talks you through the pros and cons of mixers, food processors, hand blenders and more, to help you find your perfect fit. For advice on ovens, including the features that can help regular bakers, from steam cooking to pyrolytic self-cleaning, check our built-in oven buying guide. Lidl is selling a cheap £50 bread maker – but should you buy it?